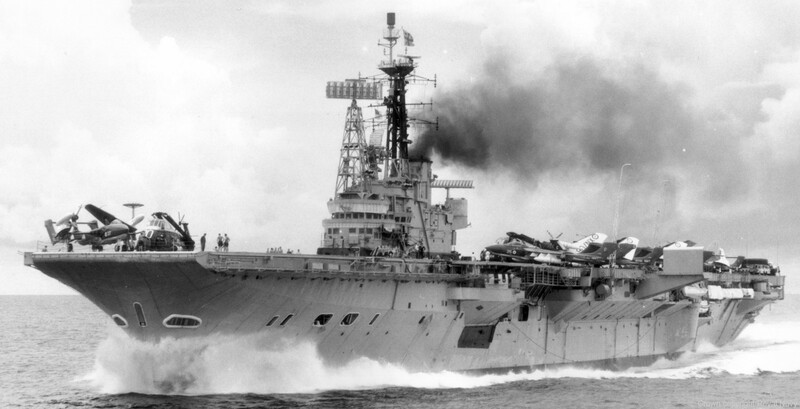 HMS Centaur was the first of the four Centaur-class light fleet carriers of the Royal Navy. She was the only ship of her class to retain the original configuration of a straight axial flight deck rather than the angled flight decks of her three sister ships. She was laid down in 1944 in Belfast with the contract being awarded to Harland and Wolff; however, she was not launched until 22 April 1947, sometime after World War II had come to a close, due to delays relating to the end of the war. She was commissioned on 1 September 1953, a gap of almost nine years from when she was laid down in 1944. Centaur saw service throughout the 1950s and early 1960s. Due to budgetary issues Centaur was not converted to a commando carrier like two of her sister ships. With increasing aircraft size and the threat presented by improvements in enemy aircraft, Centaur was withdrawn from service in 1966 and scrapped in 1970. 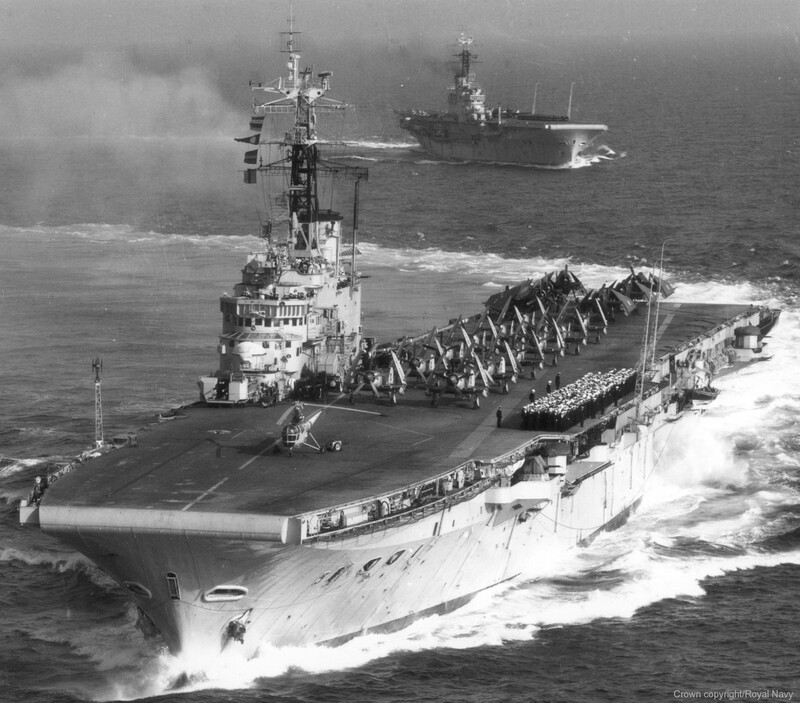 Between 1956-1958, Centaur underwent extensive modernisation with a six degree angled flight deck being added as well as steam catapults and arrestor cables, thereby giving her the ability to operate jet aircraft, such as the Hawker Sea Hawk and de Havilland Sea Venom; and, after the 1960 Portsmouth refit, the de Havilland Sea Vixen and Supermarine Scimitar. These were the minimum of alterations needed to operate these advanced, trans-sonic second generation fighter bombers. 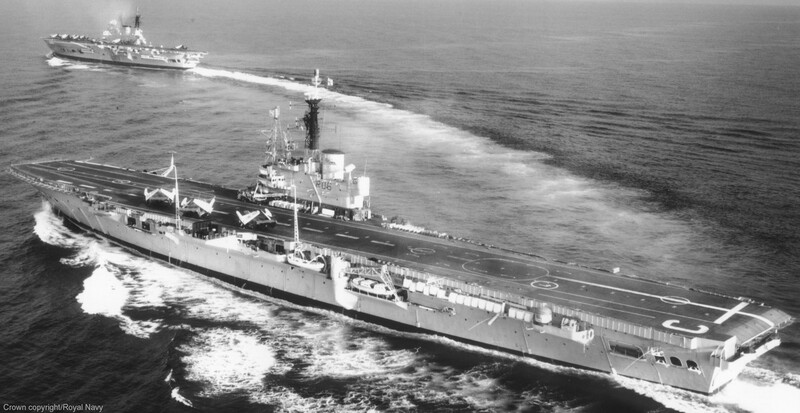 Centaur's aircraft operating and servicing areas were smaller and less well-designed, compared with her comprehensively updated half-sister, Hermes. The Scimitar aircraft had been pressed into service without a full development programme, and proved too large and dangerous to use from Centaur, and in its final years Centaur's only aircraft were the Sea Vixens. However, these did not represent an adequate counter to the threat of low level MiG-17, MiG-19 and MiG-21 strikes. Significantly, Centaur was withdrawn at the time of the Indonesian confrontation. In 1959, Centaur was used during the making of the film Sink the Bismarck! 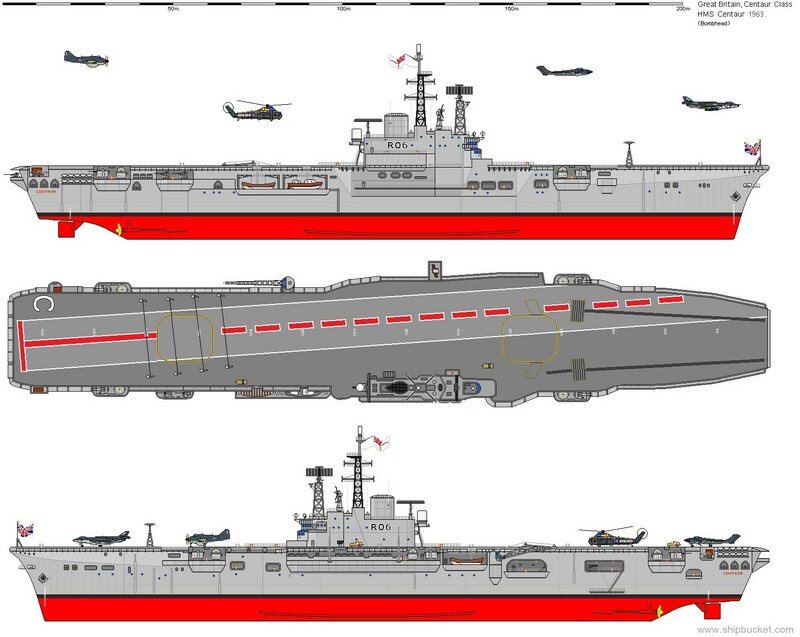 to depict flight operations from both Royal Navy aircraft carriers Victorious and Ark Royal; (she is clearly marked with her post-war pennant number R06 in both scenes). Three surviving Fairey Swordfish biplanes were restored and flown from her decks, and scenes were also shot on the bridge of the carrier, and in the aircrew briefing room. In June 1961, President Abd al-Karim Qasim of Iraq announced that Kuwait would be annexed by Iraq; the Emir of Kuwait requested assistance from the United Kingdom and Saudi Arabia. The UK activated Operation Vantage and immediately sent Victorious and accompanying vessels. Bulwark landed a company of 42 Commando, Royal Marines at Kuwait airport. Centaur arrived later to relieve Victorious. Iraq recognised Kuwaiti sovereignty in 1963, after Kassim had been killed in a coup. During the crisis in Aden, from 1963 onwards, Sea Vixens from Centaur launched strikes on rebellious tribesmen in the Radfan during Operation Damon. In 1964, a mutiny occurred in Tanganyika. The 1st Tanganyika Rifles, who were based near the capital Dar-es-Salaam, had mutinied against their British officers, as well as seizing the British High Commissioner and taking over the airport. Britain decided, after urgent appeals for help, to deploy Centaur accompanied by 815 Naval Air Squadron along with 45 Commando, Royal Marines. When Centaur arrived at Dar-es-Salaam, a company of Royal Marines was landed by helicopter on a football field, next to the barracks of the mutineers. The company assaulted the barracks with full force in a chaotic but swift attack, securing the entrance to the barracks. After a call for the mutinous soldiers to surrender failed, the company demolished the front of the guardroom with a deftly placed shot from an anti-tank rocket launcher, which resulted in a large number of distressed soldiers pouring out into the open. Later, four Sea Vixens from Centaur provided cover for more Royal Marines, who were landed on an air strip. The operation was a success and the rest of the mutineers surrendered, with the main culprits being arrested. Many Tanganyikans were jubilant when the country was restored to a stable and peaceful condition. The Royal Marine Band displayed the British forces appreciation of the friendly welcome they had received from the Tanganyikans while restoring the country to stability, by taking part in a heavy schedule of parades through the streets of Tanganyika. Centaur left on 29 January, nine days after originally sailing for what was then a country in crisis. The following year, the planned conversion to a commando carrier, like her sister-ships Bulwark and Albion, was cancelled, due to growing constraints on the defence budget and the alternative was scrapping the Tiger-class cruisers, which were only five years old, had been updated at massive expense and politically was too embarrassing. 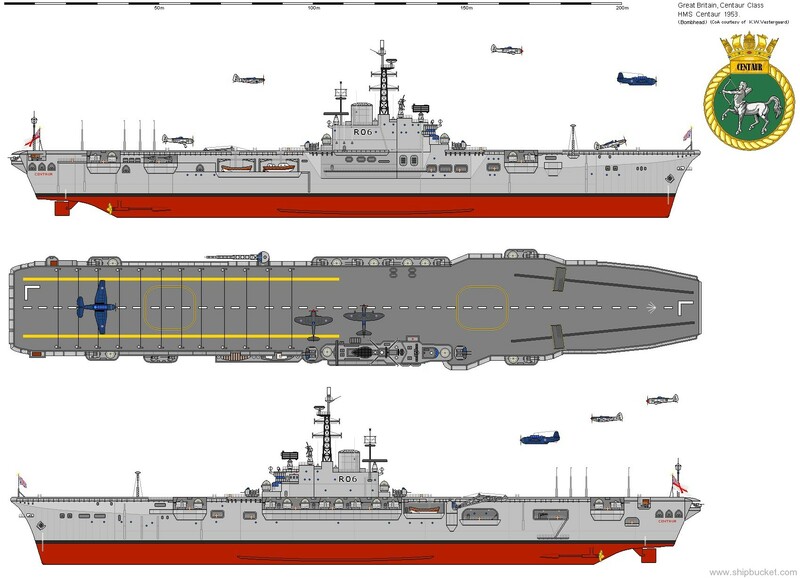 It is arguable that the conversion of Centaur to an anti-submarine aircraft carrier would have been more relevant, given the new NATO focus of the time. However, she was consigned to the role of an accommodation ship for the crew of Victorious while the latter ship undertook a refit. 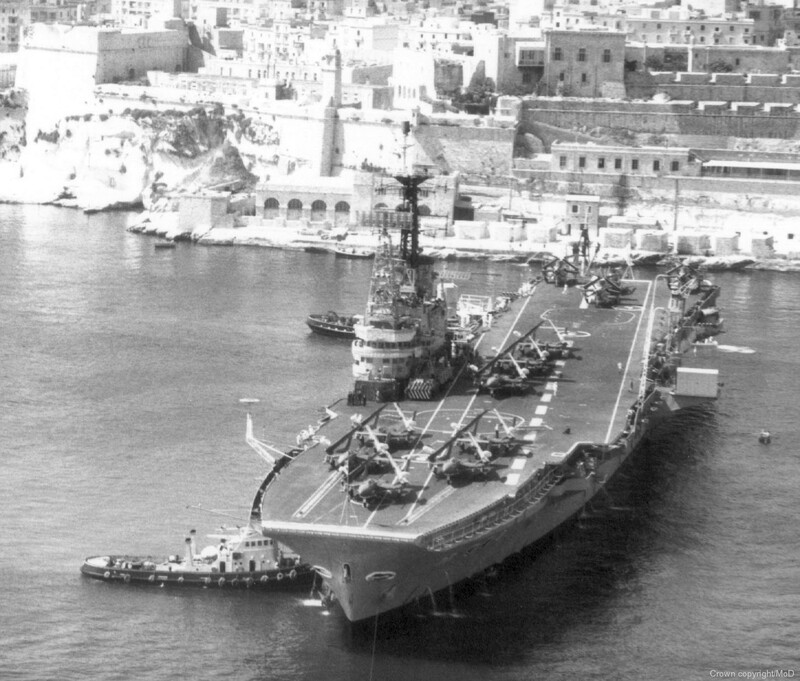 In 1966, Centaur was again an accommodation ship, this time for the aircraft carrier Eagle, while that ship was also refitted. In 1970, she was towed to Devonport, where she would await her fate for a further two years and then finally she was towed to Cairnryan and broken up.